Second degree assault is by far the most common violent crime in Maryland, and unfortunately it is also one of the most wrongly charged as well. There are thousands of these cases filed each year, and a large percentage of the allegations are exaggerated and in some cases even entirely fabricated. This is an extremely dangerous charge because it only takes the accusation of one person to put the criminal process in motion. And the effects can be truly devastating for the defendant without the proper legal representation. If you have been charged with second degree assault anywhere in Maryland contact The Herbst Firm immediately for a free consultation about your case. Benjamin Herbst has handled hundreds of assault cases, and has achieved dismissals and not guilty verdicts in many of these cases. He understands how high the stakes are, and is prepared to do whatever it takes to win, including going all the way to trial. The firm offers flexible payment plans, and never charges a trial fee, as we strongly believe that our clients should not have to pay extra for their day or days in court. We get asked all the time how it is that the state can bring criminal charges against a person without any evidence besides an alleged victims statement. In an ideal justice system, the prosecutor would thoroughly examine all applications for charges and make a case by case determination if there is enough evidence to prove the case beyond a reasonable doubt. But many of the jurisdictions in our state are far from ideal, and misdemeanor charges are often filed without a prosecutor even glancing at the statements, much less interviewing witnesses and making judgments on credibility. There are few things that bother us more than people using the criminal justice system to settle personal vendettas. It is truly sad and pathetic, but the fact is that this happens all the time. People are arrested each and every day on false assault charges. This includes charges where the defendant is acting in self defense or the defense of others. Truth be told, the police officers that respond to many of these cases would rather make an arrest or issue a summons and let the court system deal with it than make a judgment call on the scene. And further, the commissioner may do the same. As terrible as these situations are, there is still hope as all defendants are entitled to competent legal representation. Hiring a lawyer in a second degree assault case is absolutely imperative to protect your rights and your freedom. It is too much of a gamble to walk into court without a lawyer, and nobody should ever expect the state to simply drop a case on their own. And remember that the judge does not have authority to dismiss a case unless evidence is presented at a motion or trial. 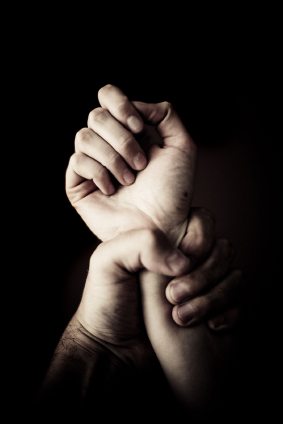 An assault conviction is something that can stay with you or a loved one forever. It can leave a devastating affect on a person’s criminal background, and is considered a crime of violence. If your case is dismissed or nolle prossed, or if you earn a not guilty verdict your case may be immediately eligible to be expunged, which is something we handle for our clients free of charge. Probation before judgment cases may be eligible for expungement after three years.